Rapid Manufacturing Group is comprised of Rapid Machining, Rapid EDM, and Reliable Mold Services. 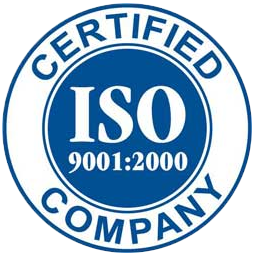 Incorporated in early 1995, Rapid Manufacturing is an ISO 9001-2000 and Minority Certified Company. We have been involved in contract machining and EDM services for our diverse customer base which includes, but not limited to mold, die, tier one, and OEM suppliers. They have come to depend on us for all of their manufacturing needs, both large and small. Over the years we have continually strived to meet and exceed our customer’s demands. We have accomplished this through upgrades in software and machining equipment, inspection equipment and improved training and policies for both our employees and management. Rapid Manufacturing provides mold serves to various industries including; automotive, aerospace, consumer, industrial, medical, energy, electronics, and others. We offer 24/7 service and support for your most time sensitive projects. We take great pride in our reputation for being on time and quality workmanship. Our position in the market place is a value added supplier helping to keep our customers satisfied by assisting to meet their every need. Rapid Manufacturing is your 24/7 source for quality molds and tooling. We provide engineering and design for new projects as well as repairs and maintenance for existing equipment. Our 25+ years of tooling experience, state-of-the-art CNC / EDM machining allows us to meet your exact mold development and repair requirements.